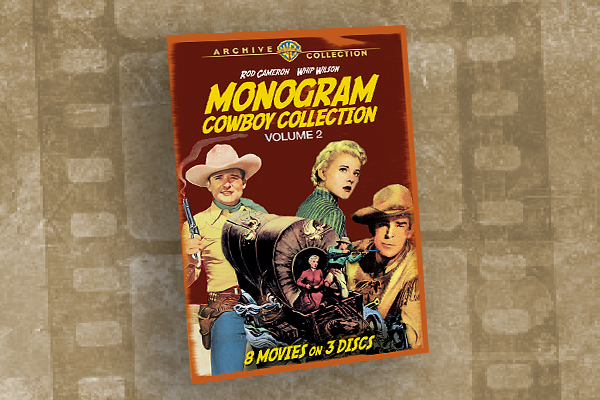 Dusty’s Journey to the Movies Paying tribute to beloved Western novelist Dusty Richards. Painted Woman tells the tale of Julie Richards (played by Stef Dawson), a soiled dove who becomes the trophy of wealthy power broker Kyle Allison (Robert Craighead). She is given two chances of escape—from hired assassin Frank Dean (Matt Dallas) and from wayward horse trainer Vince Wagner (David Thomas Jenkins). Which man will save her? Retired from Tyson Foods at the age of 65, he traveled the American West in an RV with his wife, Pat, and found a second life as a novelist. Back home in Springdale, Arkansas, after another road adventure, Dusty and Pat got in a car accident on December 19, 2017, and did not survive their injuries. Dusty Richards worked as an actor while attending Arizona State University. 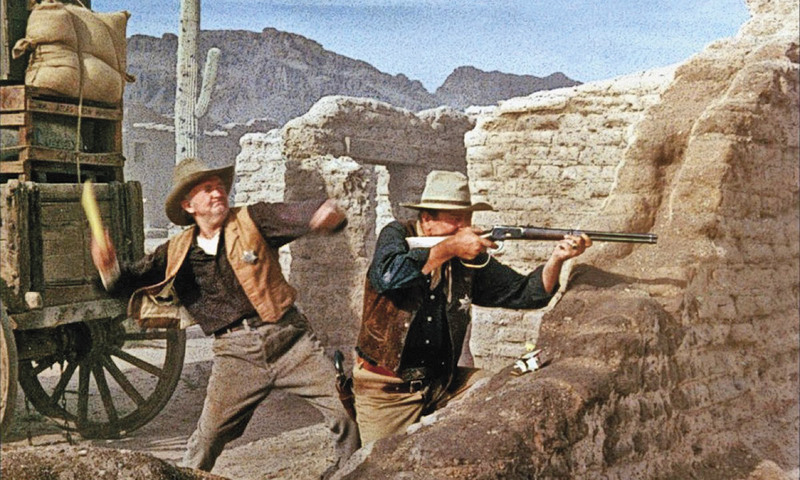 He was on the set of 1959’s Rio Bravo when Stumpy (Walter Brennan) threw sticks of dynamite as John T. Chance (John Wayne) shot at them to blow up the barn where the bad guys were holed up. Henry C. Parke had just interviewed 80-year-old Dusty for his True West column. Little did we know that would be the last time we would hear from a man so many treasured. DR: This lady had made a film [2015’s Hush] with some people, about a little café in a little town up here by me, and I vaguely remembered her. And she was talking about how to write a film-script there. Dusty Richards celebrated major honors in 2017. He earned his third Spur, from Western Writers of America, for The Mustanger and the Lady. 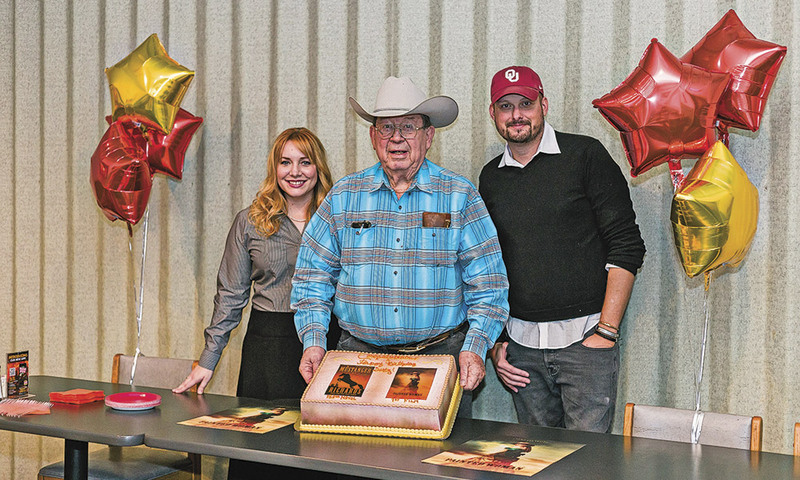 And at his 80th birthday party, two months before his death on January 18, his cake memorialized his 150th novel adapted into the Western movie Painted Woman. He holds the cake, between Producer Amber Lindley and Director James Cotten. Dusty met Amber Lindley on Saturday. The next Wednesday, she wanted a movie deal. Dusty correctly guessed her pick: The Mustanger and the Lady. If I was making a movie, that’s the movie I’d make. There ain’t no big Indian wars, fights, battles, cattle drives. That’s going to be the bargain movie to make. I think to get that girl bucked off the horse was going to be like $3,500 or $4,000. And she just flies off the horse! Dusty struck a deal with the “housewife of the football coach” at Fayetteville High School in Arkansas. I didn’t have any doubt about her. She had enough experience on that small movie she made, and contacts and stuff. But, you know, I had a good friend who sold a damn book to that actor. The guy that had the bar in Boston. Ted Danson. Ted Danson paid her—not an agent—paid her $125,000 for a thing on her book. Well, the book hadn’t been out in several years, and it was a cute story. It would have fit him, and they never made the movie…. It was the only book she ever wrote and ever sold…. Hell, she got the money, and she’d a lot rather have had the movie…. But I just had in my mind that [Lindley] had it set on this deal. And by golly, you know they have to pay you when they start filming, when they turn the camera on. and I’d tell people that it wasn’t Metro-Goldwyn-Mayer, but it was about the price a good book would bring you if you sold somebody a book. I appreciated that. In fact, I damn sure did. It was one of them bumps in the road that she needed to buy it. 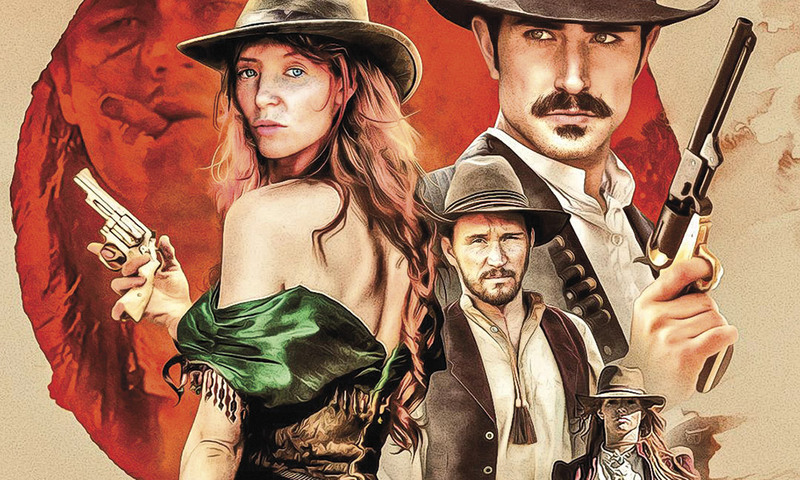 Stef Dawson, from The Hunger Games trilogy films, is the powerhouse behind the female-led Western Painted Woman. She prepares for her bucking horse scene (above), one of the favorite memories author Dusty Richards had of watching the filming on the set in Oklahoma. Toward the end of filming the Western, titled Painted Woman, Lindley invited Dusty to the set in Oklahoma. Oh, it was wonderful! There’s a part in there where [Dawson] is escaping [with her horse], and they had two cameras. And this is part of the secret of why it’s a pretty good film. One of them is on railroad tracks…so it could run up and down, back and forth. And the other one is a telephoto. Of that scene, they made three shotswith both cameras at the same time. So whoever edited had six pictures to choose from…. It took three-and-a-half hours to make that three-minute deal. When he said cut, the kids—just young people out there—they screamed and hollered and laughed, applauded like they’d just won a ballgame. Painted Woman wasn’t the first movie set Dusty had visited. While attending Arizona State University in Phoenix, he acted. He admitted “no one discovered me,” but he enjoyed his work, especially the day the barn blew up for 1959’s Rio Bravo. I mean, it was explosion of explosions. So here comes the pink snow. Somebody had stored some damned pink paper in that thing. It ruined the whole scene. I learned some new swear words. That director [Howard Hawks] was having a fit. They had to build another barn and blow it up, I guess. Dusty remembered working as an extra with Producer Russell Hayden on the 26 Men series about the Arizona Rangers. It was a really kind of slapstick deal. One time, we wrecked a wagon. I was riding in a posse, chasing. The wheel went off, and two of us went off into the cactus. And he said, “Save it! Save it—we’ll use it next week!” He didn’t have to pay a stunt man. Stef Dawson and David Thomas Jenkins. Dusty earned $20 a day for him and his horse, which he brought to the set, along with his picnic lunch—no buffet for that cast and crew. I met Steve McQueen. I was on the set a couple of times with him. And boy, he had a catered luncheon and everything else. Have a beer bust on the end, and someone to pick up the bill for it. You did one of those 26 Men, you brought your canteen water with you. Somebody told me, he made those things for $10,000, and they made a quarter of a million dollars a week. Dusty got an early taste of filmmaking in Arizona by ditching school to visit movie sets. Since Dusty understood the moviemaking process, he was prepared to answer questions posed by James Cotten, who cowrote and directed Painted Woman. 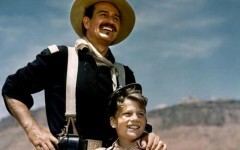 Cotten was particularly curious about Vince Wagner, the Mexican-Apache horse trainer (played by David Thomas Jenkins), a person lost between two worlds. How I built Vince’s deal came from the American South, you know, and all that trouble. [Vince was] not the first guy to take a body and turn it in to the U.S. marshals. I mean, I’ve read some actual accounts for that happening…. Didn’t have fingerprints and things, they had some kind of a description. They had some stuff that belonged to him, like letters or something they took along whenever, you know. They didn’t have any kind of thing like we have today, you know: he’s blond headed, six foot tall or whatever he was. “Oh, I see him, and I’ll swear to it. I’ve known him all his life.”[Laughs.] Get $100 reward. But you got it as scrip that the government would agree to pay, when Congress would vote some money to pay that, under a certain order. And that’s when you got your money. Otherwise, you took a discount on it. In Fort Smith, [Arkansas], barbers, everybody, made money off that. Because people would need their money, and they’d take it, take 20 percent off, 25 percent off, and if they had $100 scrip, they’d pay them maybe $75. But Hell, you had your money and gone. Might be 18 months before the government got around to paying. Most novels are not filmed as written, and Dusty shared what the scriptwriters chose to focus on. What they did was, they took a dance hall girl who knew about a murder, which that girl didn’t know about a murder in the book. Took that and shortened it up for the movie, because, in the other deal, [the Papagos] were running all over the country. Dusty approved of the adaptation, although he was bothered a bit when the writers removed the subplot about the Papagos, an enemy of the Apaches. I wrote that book on a purpose, to show when the tables turn for the Apaches. It wasn’t no one damn wonder they had a problem. They had them down there at San Carlos, was it? Do you know when you come over that mountain to San Carlos, on the south side, say you’re coming up from Tucson or Tombstone, there isn’t even a saguaro that grows on the San Carlos side of the mountain? They stuck [the Apaches] in a hellhole. Dusty might never have written a novel to base a movie on if not for Western Writers of America. In 1985, Dusty met novelist Jory Sherman, who assured him that his two Western short stories were enough to join the organization. That year, at his first conference, in San Antonio, Texas, Dusty met everybody but Louis L’Amour, who had stopped coming by then. Louis is not the only damn guy who ever wrote a Western book, you know? I think Sacketts is probably one of the greatest bunch of books that was ever written. But he’s got a bunch of other crap that I don’t like. I’m sure there are some books of mine that somebody’d say, “I don’t like the one about the dog-tailed horse” or whatever. That’s their privilege. But I never would have wrote anybody it, to say, “Louis L’Amour told me how that was done,” but that’s okay. I really think that he leaves women out, and that kept him on the good list. I don’t think that was the West. I think that women were the West; they were part of the West. And people, like this dance hall girl in this book, were sold by parents to somebody who said they were gonna get her a job. And that went on all over. And Hell, there was one woman to 11 or 12 men, or maybe even a greater number, in a lot of places on the frontier. Oh my God! He wrote on the front. He wrote on the back. He wrote in between. That had enough red ink in it, it would have saved a bloodmobile. 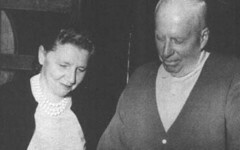 Reuter lived about 40 miles from Dusty, so when Dusty finished his third attempt, he went to hear his review in person. It went off in my head that I would sell that book. I mean, here’s a guy that did bestsellers and everything else, and he’s so interested in my old cowboy story. I’ve got a shot at selling that book. Absolutely. For all the stories Dusty left behind for us Westerns fans to read and enjoy, we remain ever grateful.